Arctica islandica from the North Sea. Image: © Hans Hillewaert used under CC BY-SA 4.0. Much like trees, clam shells have growth rings. The chemistry of these rings can be used as a proxy for ocean chemistry. 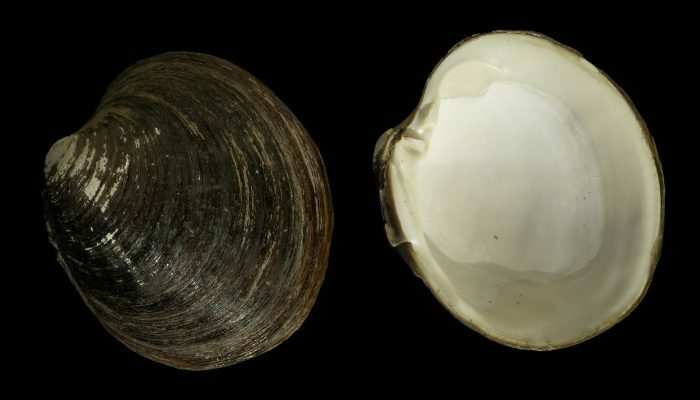 Recently, an international team of scientists used the growth rings found in shells of Arctica islandica to produce an annual absolutely dated marine δ18O record for the last millennium which was published in Nature Communications. The record represents the first fine scale archive longer than ~100 years. Additionally, it has higher resolution, and less age uncertainty than δ18O records produced from sediment cores. To read more into what this record means, and the full results of the study see D.J. Reynolds et al, 2016. Rachael Moore is a PhD student at the Institut de Physique du Globe de Paris, and an Early Stage Researcher with the Marie-Curie ITN ABYSS. Her research focuses on the interaction between microbial life and basaltic rocks in the deep biosphere. Currently she is using material from a CO2 injection site to observe how microorganisms alter their host environment in response to CO2 exposure. You can find her on twitter @raeleigh08 or as a contributor to SeaRocks Blog.